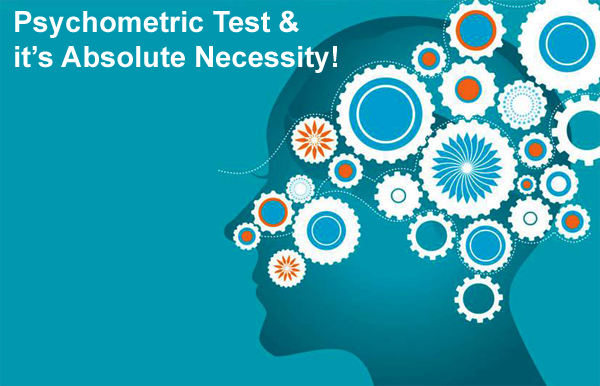 Why Psychometric Test has an Absolute Necessity? Before proceeding into the article that states that why the Psychometric test is an absolute necessity used for Children to find out their talent or to recruit people, one should at least understand that what is this test at all? Rather what does the word psychometric usually refers too? The meaning of the word psychometric basically refers to the very measuring of the mind. The behavioral traits as well as the characteristics of a candidate as important as their education and the skills or that of the education or that of the punctuality that they have. Well the Psychometric test is all about as already mentioned about the very mental analysis of the candidate or Kids. Most of the employers take these tests to be the very accurate and they allow these tests in order to evaluate a candidate on a whole. Now parents are very careful to determine their child's talent to guide them properly. So we arrange for Psychometric test in Kolkata & Delhi to provide this service franchise also. They mostly base on this particular test in case they want to know that whether or not the candidate will suit the profile at all. The tests supposedly give away the very traits of the strengths of a person or that of a weakness. They also tell a lot about the type of working style the people have. The psychometric test is a big thing that an employer can depend on. Many recruiters on the other hand takes this test to just be an overall representation of the character of the candidate. They take this to be an added advantage to the skills they already possess. They neither believe in the very drastic way of looking into the matter or the result of the test. So we arrange for IQ test, Aptitude test & Fingerprint Analysis also to provide complete range of facilities for kolkata & delhi. · The evaluation: this particular test can actually evaluate a candidate like nothing else can. It measures few extreme things in the human beings. Like that of the very intelligence or that of the very skills that they need to acquire more. Or even the numerical ability that they have. The evaluation also includes the characteristics and the logical reasoning ability of the candidate. · The suitability: this test includes the very advantage of checking out that what is the suitability of the candidate in that particular company? Does he have all the values of being in the very same company without being a problem in the very future? · Reducing the work of the HR: this is another of the important points that one can come across. The HR has to go through a lot of selection procedure before they do select one of the candidates but with this test in the beginning they can actually bring an end to that very tension. · Finding the hidden traits: who doesn’t want to know about the hidden traits of the people. The hidden traits of the people becomes very clear in with this particular test. The change in the test procedure: the testing procedure used to include the very process of the pen and the paper but as the times are changing so has it become digitized. The verbal and numerical test: this evaluates that how within a stipulated time limit can a candidate handle the stress. Often these tests are held offline only. With this people can conclude that how very important the psychometric tests are. Brain Magic is a kolkata based company provides franchise all over India on DMIT Services. We provide DMIT test, IQ test & Psychometric test in Kolkata, India. With these test we help parents like you to guide your children in proper way through out the life. Our career counseling for kids helps a lot to guide them correctly for the entire life.